Manila rope is 3 strand, Natural Fiber rope. 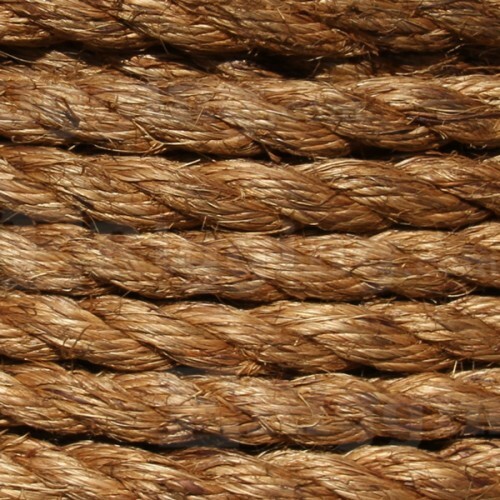 It is the strongest and best quality natural fiber rope with several benifical qualities. This rope is resistant to sunlight, it will not melt, knots well, and has little stretch. Manila rope must be stored in a dry area to prevent mildew. Available in diameters from 1/4″ to 2″.